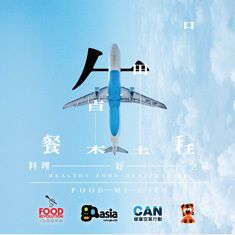 Presented by DotAsia Organisation and DotAsia Foundation with generous support from Gift4Kids Foundation and Jamie’s Italian Hong Kong, “Eat Smart Little Chef” (an interactive food education program) aims to promote healthy diet among young students. We partner with local charity organisations and community centres by inviting 20 kids (age 5 to 13) to join our free and interactive food educational program 6 times a year. The participating children will be recruited via local charities, NGO’s, community centers and schools. The beneficiary partner will be responsible for screening and organizing the children. The target age group is between 5-13 years old and we aim to recruit group of 20 kids per visit. We would like to be able to bring children from grassroots families, or publicly supported families to the restaurant in order to provide exposure to Western dining and food information.